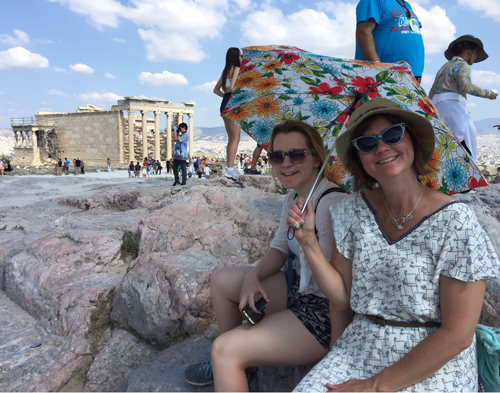 Greece's economic crisis was reaching its peak as we reached Athens and climbed up to the Acropolis in 90-degree heat. 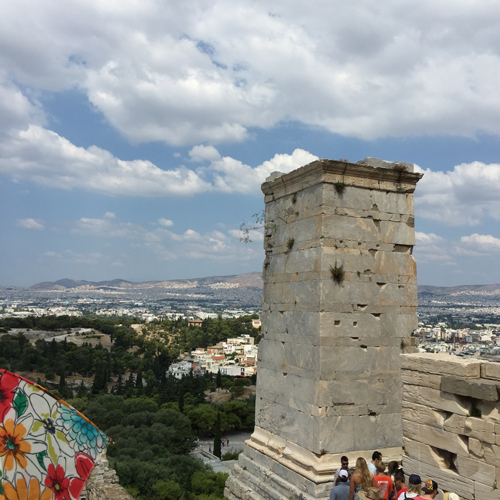 We didn't ask about it as we worked our way across the tables of goods set up along the walkway that lies between the Acropolis hill and town, like a long swap meet. Everything seemed different from the way we left it 25 years earlier. Even the hill seemed to be facing the other direction -- or had we just approached it a different way? 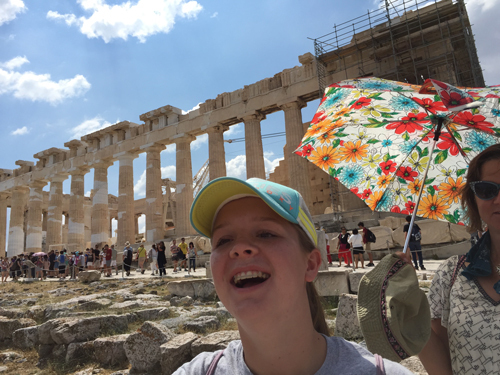 Where was the Agora, the marketplace full of pretty young backpackers? How was I now wandering along a hot road between tables covered in junk, guarded by middle-aged men like myself. Had everyone grown old together? 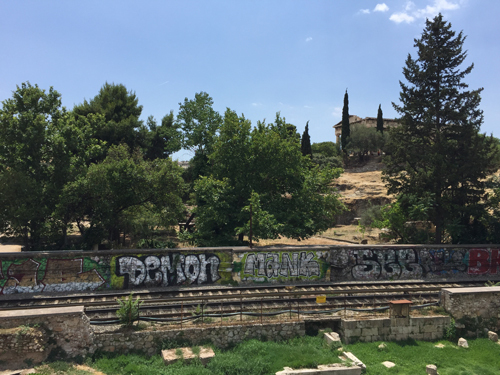 We stopped for some lunch in the shade of the trees at the base of the hill and then made our way to the train station where we caught a train back to Piraeus.